You grew up in San Francisco and studied at Berkeley. 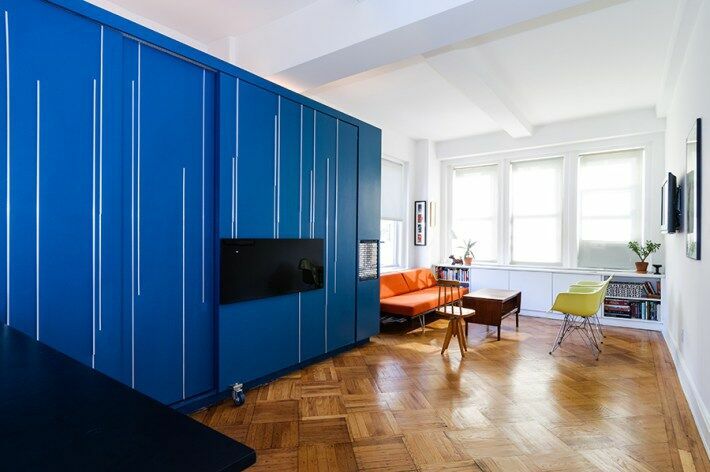 Did your design aesthetic change when you moved to the East Coast? Certainly, you had some more square footage to work with in California. There are undeniable differences between East Coat and West Coast for sure, but so much of design has to do with the sensibilities of the designer. For me, Northern California is always around, even though I’ve lived and worked in New York almost as long as California at this point. Berkeley was where I first learned to think about architecture in a serious way, and that’s inescapable as a practicing architect despite the fact that my subsequent education and experience in New York probably informs my day-to-day practice on a more immediate level. Growing up in Northern California where there is such a strong presence of the climate and the landscape, a rich history of multiculturalism, and such a compelling mix of Victorian, Spanish, Asian, and hippie cultural influences really made an impression on me. I don’t think that those influences go away. When you first started your own firm, it was in partnership with your classmate from GSAPP, Kari Anderson, and you called it Normal Projects. What was the significance of that name and how did you eventually become MKCA? With Normal Projects Kari and I were quite interested in reimagining and challenging what we understood as the standard ways of working or thinking about architecture. Because we were doing commissioned work for clients after hours and working in offices at the same time, we really wanted to explore alternatives to our 9-5— but more like 9-8—professional lives. We probably would have kept on, but Kari ended up moving to Los Angeles and it didn’t feel right to carry on the identity of the office without her, so I opted for the simpler, more straightforward name which is my name and the word architecture. 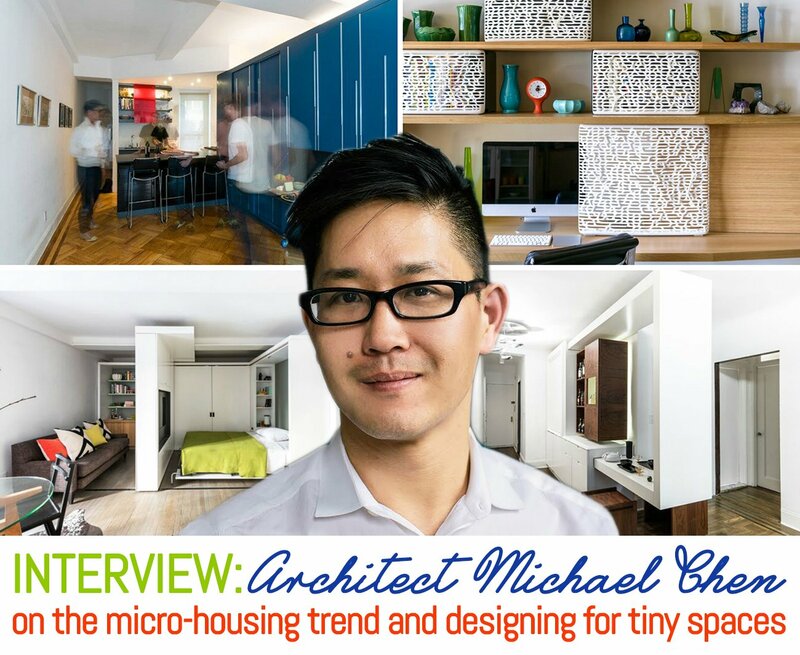 Was your passion always micro-housing? Honestly, no. 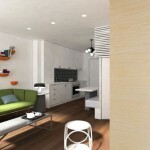 Micro-housing was never really something that I had even thought about until we were presented with some opportunities to design for a friend who had purchased a tiny apartment [the Unfolding Apartment]. But that project was so challenging and interesting, that it really captured my imagination. How does the trend fit into the firm’s current practice? We work at many different scales now of course, and the majority of our projects are considerably larger, but we almost always have one micro project in the office at all times because they’re so much fun, and because we learn so much from them about how to really understand a client’s lifestyle, how to make priorities, and how to design at a very complex and detailed level. When you’re negotiating inches in a design project, every tiny thing has to be right. 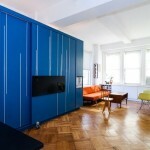 You mentioned that the 400-square-foot Unfolding Apartment was your first foray into micro-housing. This project really put you on the map within the design world. What is it that you think caught people’s attention? 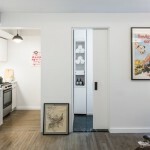 I think that there is a fascination with the intelligent use of space and a kind of spatial efficiency that a project like the Unfolding Apartment communicates. And I think that the project also satisfies a narrative that many people have about New Yorkers and city dwellers. 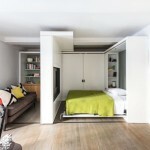 There is a theme, particularly online and in the popular press about tiny space living, which is a category that project falls under at one level. It’s a little like TV shows about people who eat odd things. In truth, that “extreme” living angle has never been very interesting to me. 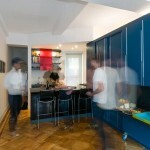 Our priorities with the small space projects are to enable the living of a full life in a small footprint. 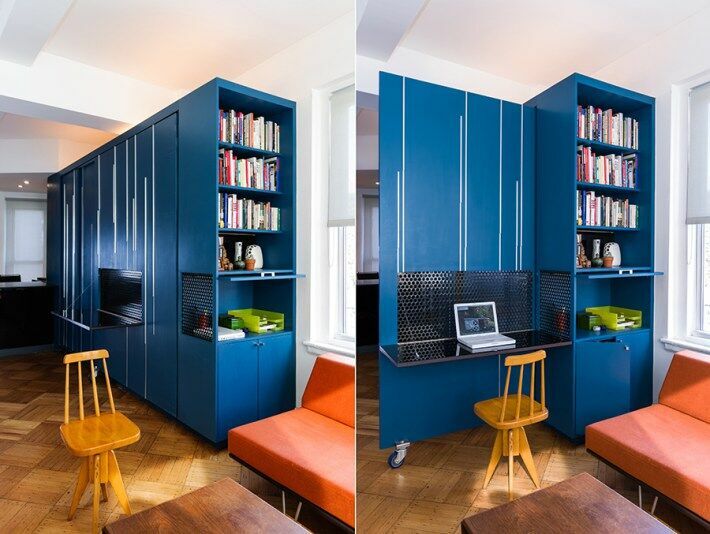 It’s less about scarcity and efficiency, and more about saying yes to more things despite living in a smaller space. So while that particular project is compact in terms of square footage, I’d like to think that people see that it’s a place where someone could live a rich and fulfilling life. The original client lived there happily for seven years if that’s any indication. 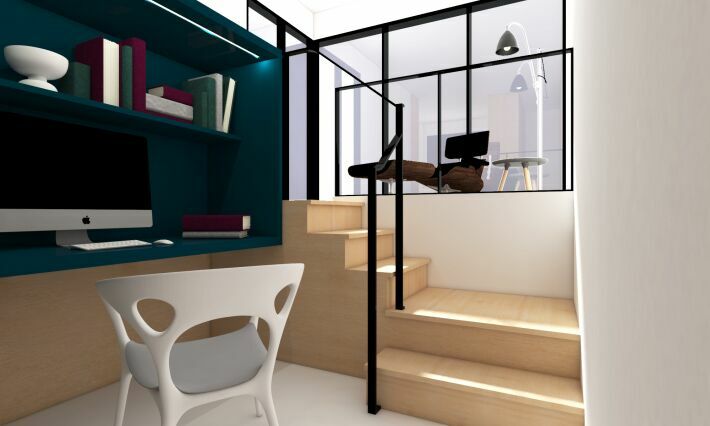 We’re very intrigued by your latest innovation, the 5:1 Apartment. 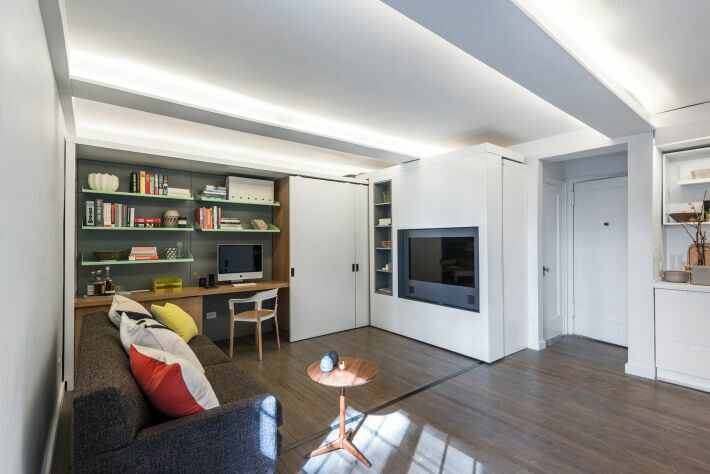 How were you able to comfortably fit spaces for living, working, sleeping, dressing, entertaining, bathing, cooking, and eating all within 390 square feet? 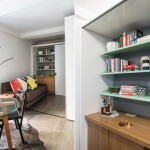 Like many of our small spaces projects, the design of the 5:1 Apartment started with an attempt to understand all of the different uses and ways of living that were important to the client, and a comprehensive effort to document those uses thoroughly. The rest is a negotiation between daytime and nighttime uses, between more public and more private uses, and and effort to accommodate as many different desires and uses expressed by the client as we could. We try to think not only about spaces that can be labeled with a single function, but how fluidity, flexibility, and exchange can be enormously productive design values. 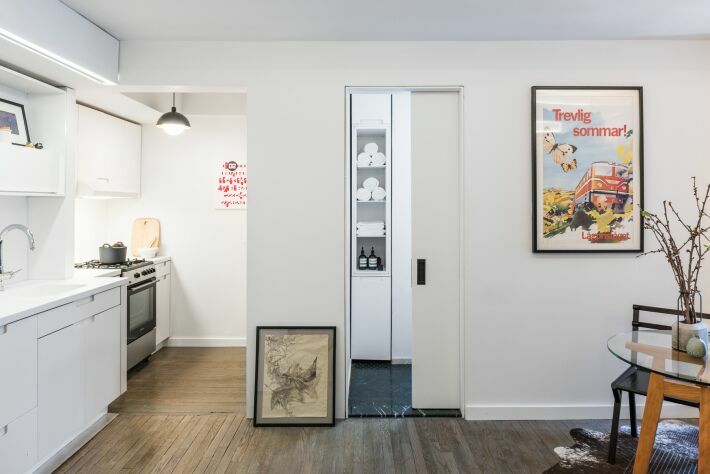 Two of your projects, which happen to not be tiny spaces–the Upper West Side Mansion and Upper East Side Townhouse–are in historic buildings. Does this affect where you draw inspiration from? Absolutely. New York is a historic city. And at the same time, there are the dueling imperatives to make that historical fabric more amenable and suitable for contemporary life and to respect the historical legacy of the city. I’m not a historian or a preservationist, but I think that the best architecture comes from architects who are curious and interested in learning about things outside of their experience. For example, our townhouse project on the Upper East Side is a new building that learns from the original 1870’s Neo-Grec structure. The Neo-Grec is a style I didn’t know anything about, but as it turns out it was one of the first styles to incorporate machine ornament in the form of V-groove cuts and manufactured architectural embellishments. So when it came time to develop newer design strategies for the project, we were very interested in engaging more contemporary ideas about machine ornament—from CNC milling to 3D printing to computational bending of metal—in the project both as a way to respect the history of the building and to add to that legacy in a meaningful and contemporary way. Speaking of 3D printing, you utilized the medium for the KG Desk. Do you plan to use the technology in more projects moving forward? Definitely. We print all the time, but increasingly we are finding that, as with the KG Desk, 3D printing is not just a form of representation, but a viable and affordable end product. So for instance with that particular project, the sliding mechanism for the doors is part of the printed door. We’ve looked at structural components that can be 3D printed, as well as operational elements like sliding doors that can make use of 3D printing. Tell us a bit about the research arm of the firm and how that factors into your overall approach. As a practical matter, we devote about 20 percent of our time to design research, whether in the form of prototyping or devising new design methods, or learning about new materials. Our clientele generally comes to us because they recognize that we’re able to deliver work that doesn’t always fit into conventional categories, and much of that comes from our commitment to developing applied design research. 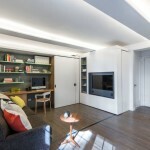 Would you say this is what sets you apart from some of the other firms out there specializing in small spaces? 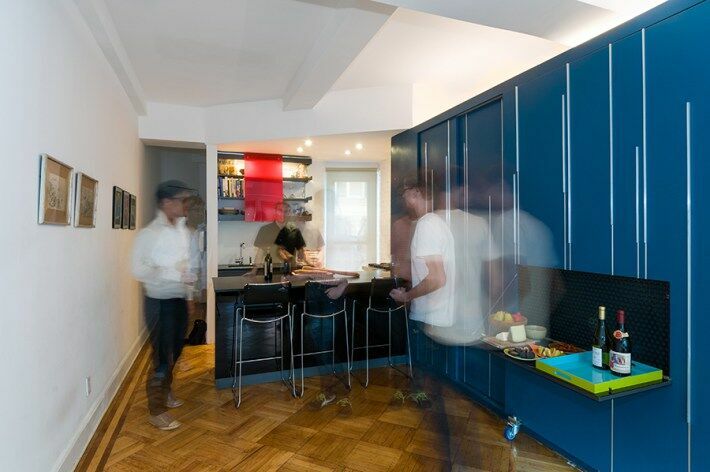 While we do have a commitment to a certain product design scale of thinking with our small spaces work, our emphasis is always a spatial one, in the sense that we think primarily about the relationship between things and the space around them rather than the things themselves. We’re very interested in motion and transformability, but we also try to eliminate the gimmicky or the purely whiz-bang aspects of the projects in favor of a more refined and restrained sensibility. 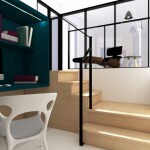 Our aim is generally to make work that is inventive and also exceptionally livable. 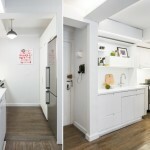 What are some of your best kept secrets when it comes to designing small spaces? I don’t know if it’s such a secret, but our ambition is always to maximize usefulness while reducing visual noise. That, and we focus on the movement of the body in space. 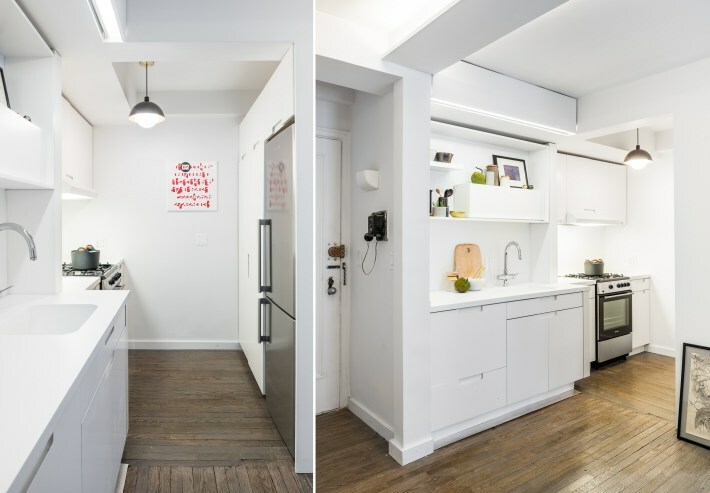 Small spaces demand choreography and ergonomics. Is there a project you’ve always wished you could work on? I’d love to take on larger buildings and more public work of course, but I also derive a tremendous satisfaction in designing a well-functioning piece of hardware. My greatest ambition has always been to work on projects that are challenging and interesting with a team of intelligent, energetic people, and where we can offer expertise and ideas. As long as we get to do that, the work will continue to be enormously fulfilling. We’re busy. 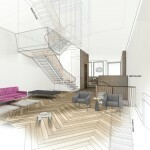 At the moment, we’re finishing a major townhouse project that I’m very excited about. 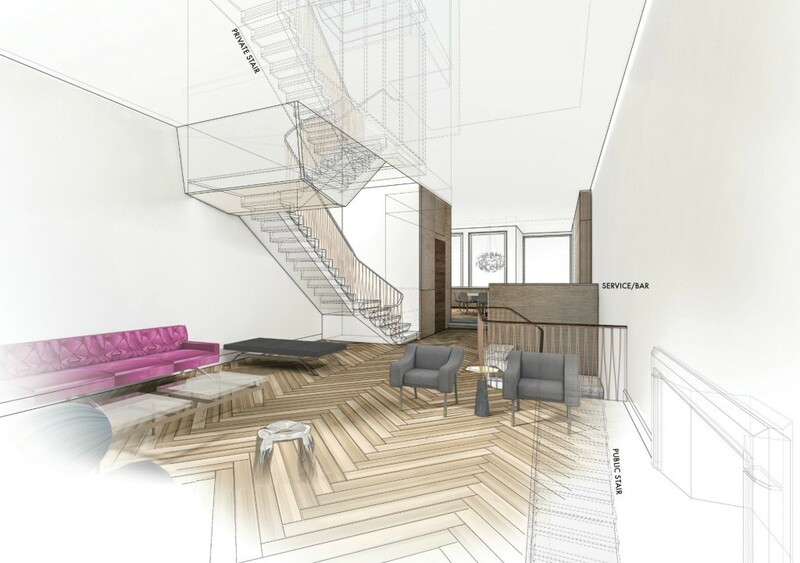 We’re also working on a few large apartment projects, a couple of individual micro projects and furniture, as well as a few landscape projects in New York and California. We’re also working on a micro-housing building concept for a major European manufacturer, and on a design education initiative. And we’re working on proposals for some much larger multi-family buildings with developers here in New York and beyond. Okay, final question. 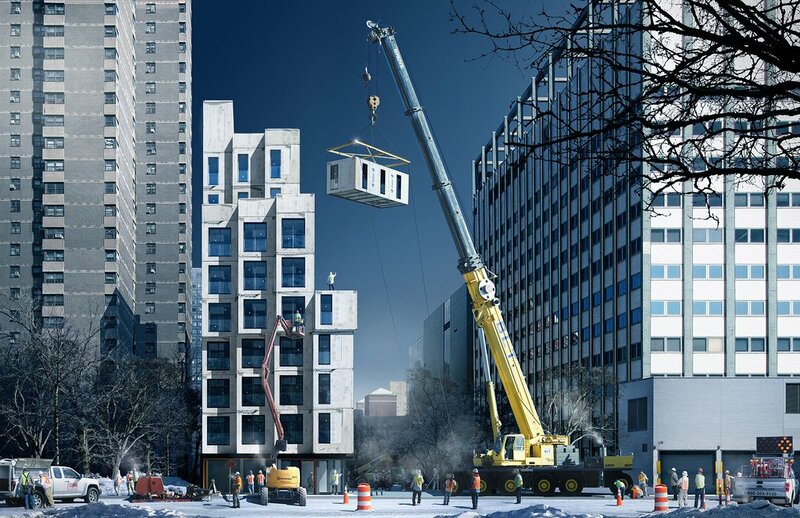 What are your thoughts on the micro-housing— like Carmel Place in Manhattan and 37-10 Crescent Street in Long Island City—being built currently in the city? I think that the realm of housing is fertile ground for innovation, and I welcome efforts to think about how we will live more densely, affordably, and humanely. 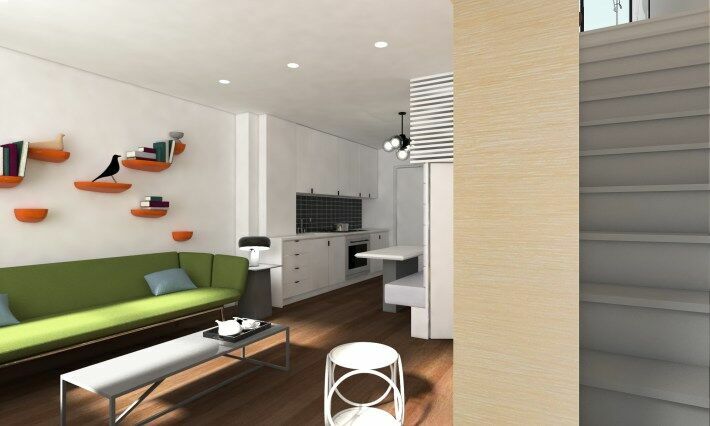 We’ve thought about new micro-housing typologies as well, and have done quite a lot of research and concept design for developers who are interested in micro-housing. My attitude is that the city is a technology that enables us to live together, and it’s important for it to be a place of innovation. At the same time, while a great deal of attention is concentrated (rightfully so) on new models for housing, I think that there is a tremendous challenge for architects and designers to bring cities like New York into the future. 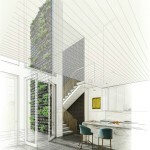 The City of New York estimates that up to 80 percent of the existing building stock will be in use well into midcentury. 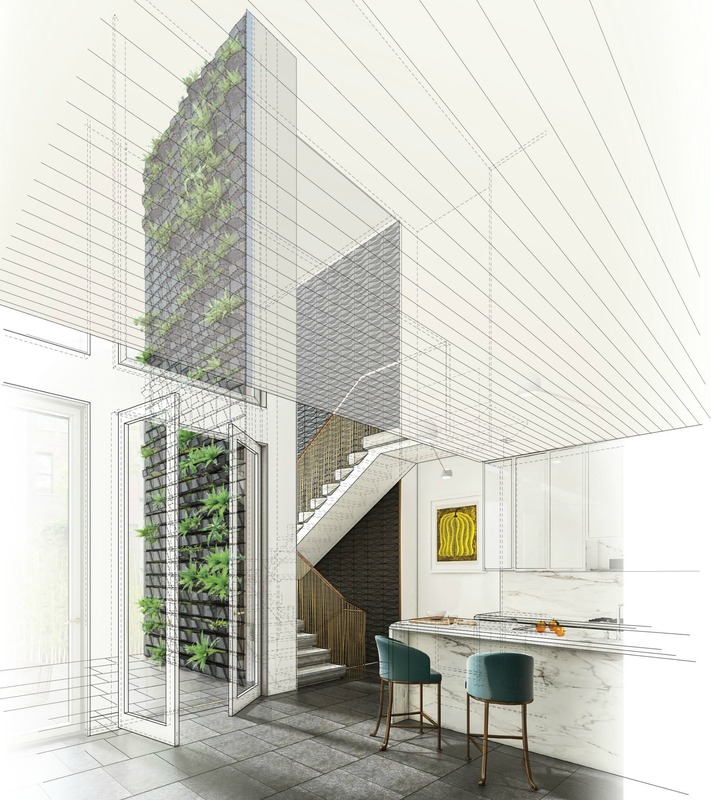 So there is a tremendous challenge to make that existing building stock more intelligent, more sustainable, and more suited to contemporary life for a great number of people. It’s not as glamorous as work on new building typologies, but it’s an effort that we’re very interested in.